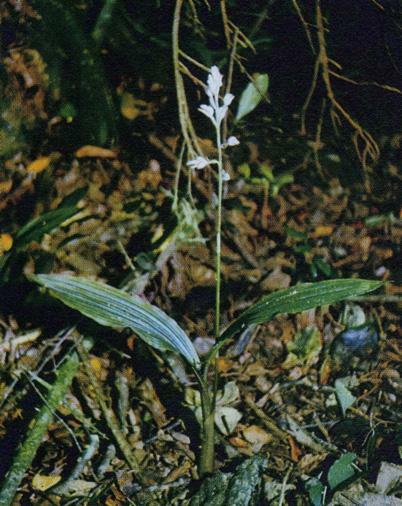 Govenia floridana was discovered in the Everglades National Park in 1957 where the isolated colony of plants was originally identified as G. utriculata, a common orchid found throughout tropical America. 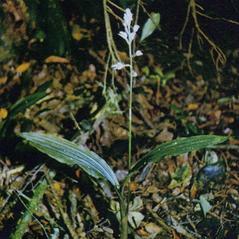 Examination of the Florida plants revealed distinct differences from the common orchid and the name Govenia floridana was proposed. 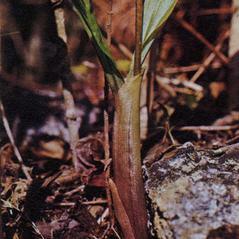 Mature plants have two green, pleated leaves that are supported by tubular sheaths that are mottled a deep purple. 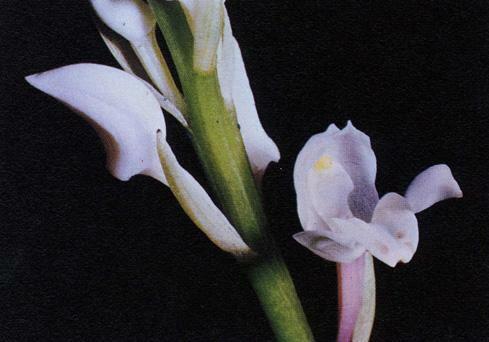 The inflorescence has 5-15 white flowers with small purple dots on a terminal raceme. 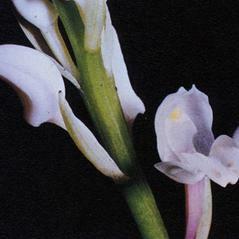 The resupinate flowers do not open widely, and the concave dorsal sepal is longer than the lateral sepals which are sickle-shaped. 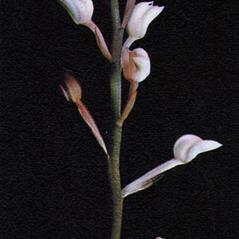 This orchid blooms in November and December in the deep shade of hardwood hammocks. 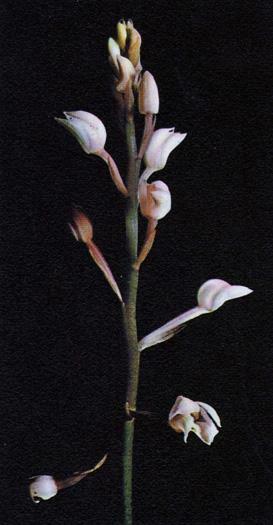 Govenia floridana is considered endemic to Florida where it is listed as endangered. 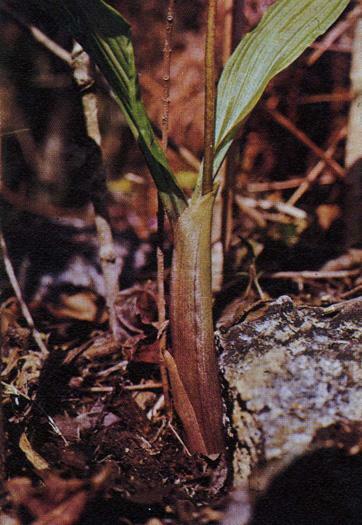 Not seen for several years, this orchid may be extirpated in Florida, possibly extinct, given its treatment here.